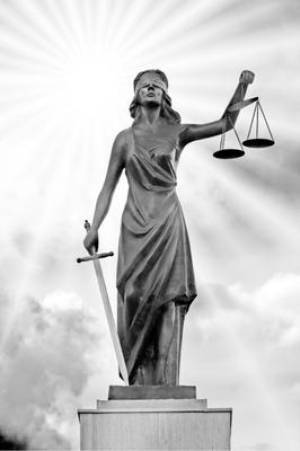 Holds the scales and the sword. Letting you know that she will use the sword if diplomacy fails. As the sun makes it’s way into Libra this year we will be returning to another cardinal t-square configuration. So for the rest of September and the first week or so of October we will likely revisit the same type of political themes that occurred during the other cardinal solar transits this year. Remember July during Cancer? When the removal of President Morsi took place in Egypt? That was probably the most notable or publicized incident of political discourse during that period and it took place when the Sun in Cancer was opposing Pluto, and squaring Uranus. So with the Sun in Libra we will likely see the same types of clashes but in the legislatures of the world first (before the sword comes out). In the US, I expect here to be a heated debate over the funding of “Obamacare” and raising the debt ceiling (yet again). The political attacks and rhetoric will take on a darker more cruel tone especially in my opinion, from the president. Government will likely be gridlocked as sides can’t reach an agreement. (Venus in the undiplomatic sign of Scorpio squaring Mars in Leo). Going to have to keep a continued eye on Syria of course and Russia. Since Putin’s solar return is nearing he will be more willing to talk things out. Despite the violent cardinal squares, since the sun is in Libra we can expect more diplomacy, more debate. As opposed to violence. Libra is in the sun’s fall (beginning of fall) so deal making is more appetizing than getting hands dirty (opposite of “me first” Aries). Mars will be in Leo and Venus in Scorpio this year during Libra so this is a more assertive and self serving configuration for Libra (Serena Williams has this combination for example). Diplomatic talks and a smiley veneer may be more about manipulating the opposition to serve self interest, rather than bring about real solutions. Probably the best Friday or Saturday to get married this year. Sun in Libra and Moon in Libra during your wedding will benefit the agreements and contracts mutually. Also the commitment to the other person to the benefit of both. Now Libra’s ruler Venus is in Scorpio (debilitated) however, Jupiter in Cancer (exalted) is giving it a boost so to speak. This is the right season to tie the knot. This is the time for Libras to get their year in order. Make your wishes and desires known, as a new moon in your sign is an infrequent occurrence. The week of the New Moon expect a low energy, and some frustration. A rebellious spirit will take hold this week as well too due to the New Moon in Libra opposite Uranus in Aries. Mercury will go retrograde in 2 degrees Scorpio while the Sun transits into Scorpio. This will be a more introspective time. More soul searching and deep thought as Scorpio turns inwards. A good time for investigating mistakes or potential errors you have made in any way. This is your solar return period during Sun in Libra. So it’s time to get in touch with yourself again. What are your goals, your needs, and your desires. Time to put yourself first, initiate things yourself and take the lead. Not waiting for the ok from someone else, or waiting on a friend or significant other to join you in the endeavor. This is the time to play up your Aries (self interested) side . 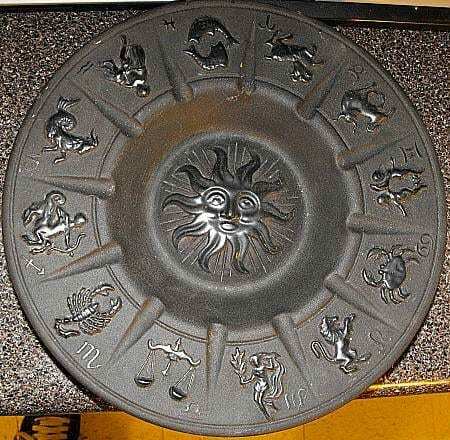 Thought this zodiac plate was Libran. So appropriate for the topic. Horoscopes for the Sun signs. Focusing on relationships and relating to others. Possible bodily changes like weight loss, weight gain, illness. Focus on health and work. Logging in extra hours. Getting some overtime. Focus on creative endeavors. Gemini this tends to be singing and acting so follow your urges. Focus on career and moving ahead. Jupiter in Cancer is there to help you as well. Focus on friends, your inner circle. Any groups or organizations you belong to, lend them some time. Re-focus some of your energy on your connections. Focus on serving in some capacity. And take time to meditate and sit in silence, listen to yourself and your intuition. Focus on learning and strengthening your mental acuity. Read more, buy or borrow a book you’ve had sitting on the sidelines. Focus on the home and family. Allocate some more time for them, especially if you’ve been busy working. Focus on learning a new skill. Maybe pick up a new certification in something. Take a new class. Focus on eliminating habits (or people) that have been keeping you behind or have been parasitic to your existence. T.I. , Matt Damon, Eminem , Avril Lavigne, Lil Wayne, Young Jeezy, Snoop Dogg, Usher, Jesse Eisenberg, Kevin Durant, John Lennon, Bruno Mars, Will Smith, Simon Cowell, India Arie, Serena Williams, Kate Winslet, Hugh Jackman, Monica Bellucci, Gwyneth Paltrow, Jean Claude Van-Damme, Liev Shreiber, Frieda Pinto, Derrick Rose, Michael Douglas, Catherine Zeta-Jones, Christoph Waltz , Zach Galifianakis. Thanks for sharing 😀 I have to give up some bad habits I picked up over the summer definitely lol!